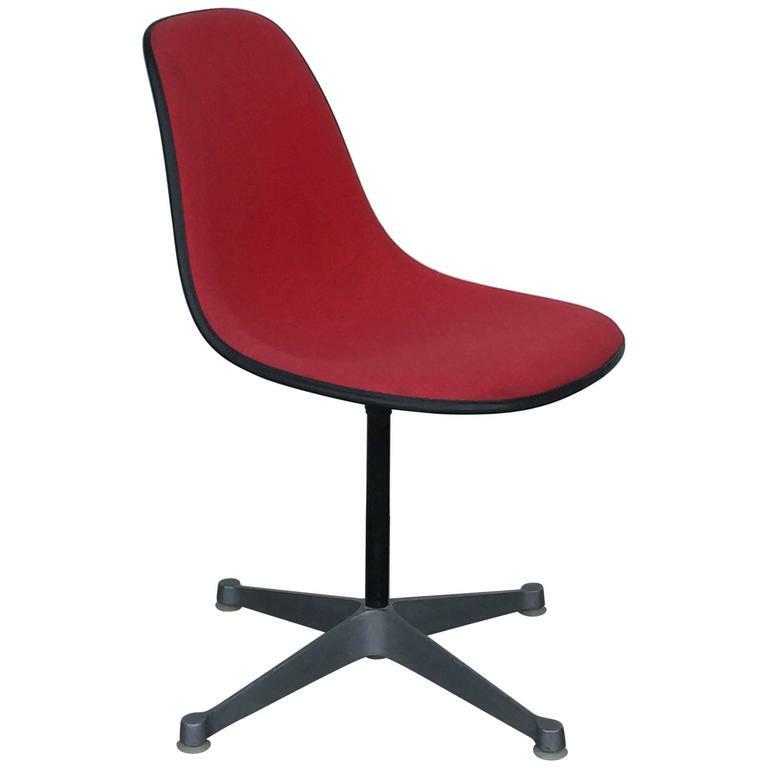 Single vintage fabric contractor base Eames swiveling chair. Perfect as a side chair or a desk chair. Stamped Herman Miller under the seat. This piece is in excellent vintage condition and does not need to be reupholstered. Burgungy soft pad swiveling lounge chair for Herman Miller. Model EA 216, designed by Charles & Ray Eames, 1969. Super comfortable. Single fiberglass encasted fabric mesh chair by Eames for Herman Miller. Great for a desk or a side chair. 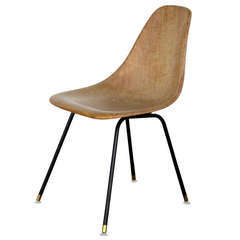 An original vintage vinyl upholstered Charles and Ray Eames fibreglass shell chair on contractor swivel base. Manufactured by Herman Miller, stamped 1975. 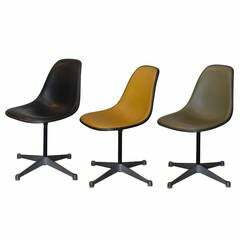 An original hopsak vinyl upholstered Charles and Ray Eames black fibreglass shell chair on contractor swivel base. Manufactured by Herman Miller in 1970s. Original mark on the chair.